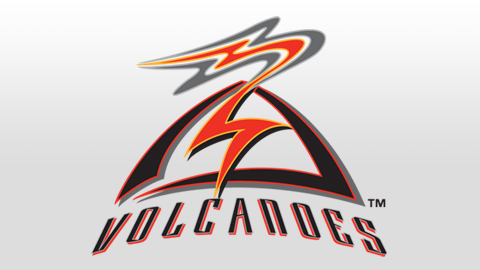 Vancouver’s big inning in Sunday’s middle game of the series produced four runs, the Volcanoes’ three. That was the difference in a game that was tied 1-1 after 5-1/2 innings and ended with a Salem-Keizer 5-4 loss. The Canadians had their rally in the sixth, and the Volcanoes had theirs in the seventh. Stet Woods, Salem-Keizer’s starting pitcher, struck out seven and allowed three hits and two walks. He left the game after throwing 80 pitches in five innings and would have pitched to no decision had his team won. Nate Pearson, who started on the mound for Vancouver, pitched no-hit baseball for three innings with one walk and six strikeouts, throwing his fast ball at 100 or more m.p.h. several times. Such a record is more typical of a closer, and he may have shown signs of tiring after those innings. The Volcanoes’ Malique Ziegler, leading off in the top of the fourth, hit his fourth home run of the season off Brayden Boucher to left center field for the first run of the game. Bryce Johnson followed with a bunt single, but Bouchey retired the next three batters. In the Vancouver fourth, Kacy Clemens walked with two out and went to second base on a single to right by Riley Adams. Samad Taylor doubled to left, scoring Clemens, and the game was tied. Brody Rodning took the mound for the Canadians in the top of the fifth and retired Salem-Keizer in order. Vancouver threatened in the fifth, with Bryan Lizardo leading off with a double to left. Woods struck out the next two batters. A wild pitch moved Lizardo to third, but Woods fanned the next man. In the top of the sixth, it was the Volcanoes’ turn to threaten. Tyler Brown led off with a triple to right, and Ziegler walked. Johnson, however, hit into an unusual double play, with third baseman Lizardo throwing to second baseman Samad Taylor, who put Ziegler out and threw to catcher Riley Adams, who tagged out Brown. With Johnson at first on the fielder’s choice, a pitch hit Logan Baldwin, but Ryan Kirby flew out to center. Garrett Cave took the mound for the Volcanoes in the sixth. The Canadians’ rally started with a one-out single to right by Clemens. Adams and Taylor walked, loading the bases. Owen Spiwak drove in Clemens and Adams with a single to center, with Taylor reaching third. A wild pitch scored Taylor, and Lizardo got Spiwak home with a single to center. In the Salem-Keizer seventh, Orlando Garcia and Shane Matheny walked. Junior Amion doubled to right, scoring Garcia and moving Matheny to third. A ground out by Dylan Manwaring drove in Matheny, and moved Amion to third. A ground out by Brown scored Amion. After Ziegler and Johnson walked, Yordano Herdenez relieved Rodning and struck out Baldwin to end the threat. Vancouver sought an insurance run in the eighth. Reggie Pruitt led off with a double to left and went to third on a sacrifice bunt, but Matheny, on a fielder’s choice that put Logan Warmoth on first, threw out Warmoth at home. John Russell pitched the ninth for the Volcanoes and retired the Canadians in order. Orlando Pascual pitched the bottom of the ninth and did the same to Salem-Keizer. Rodning was the winning pitcher with a 4-1 record, and Pascual had his third save. Cave took the loss at 1-1.